The XP 2.0 clog features a new, lighter weight construction, an ergonomically designed, removable dual density PU footbed with Dansko Natural Arch technology for exceptional support, and a slip resistant outsole. Leather uppers. 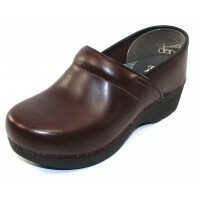 Padded instep collar for extra comfort when walking. Roomy toe box to allow toes to move comfortably. Plenty of wiggle room. Lightweight EVA midsole reduces fatigue for everyday wear and provides stability and high shock absorption. Patent pending stapled construction for durability. Removable, dual density PU footbed includes Dansko Natural Arch technology - a TPU arch stabilizer for exceptional, all-day support and memory foam for cushioning. 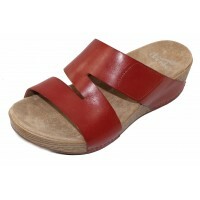 Accommodates most standard and custom orthotics. Anti-fatigue rocker bottom keeps you moving all day long. 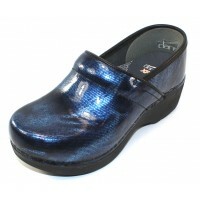 High-abrasion TPU heel counter aids in the clog-walking motion, allowing your heel to move up and down freely. Slip-resistant rubber outsole suitable for dry, wet, and oily/wet surfaces. 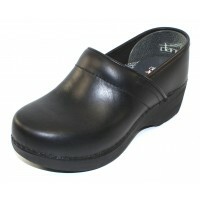 Heel height 1.75"
The XP 2.0 clog features a new, lighter weight construction, an ergonomically designed, removable du..